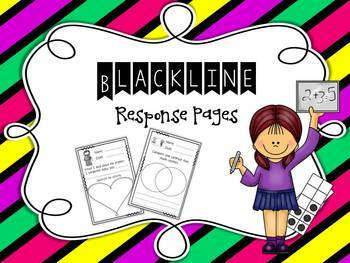 Response cards are must have tool for learning environments. They're easy to implement and the learning strategy will make an immediate impact with your students. 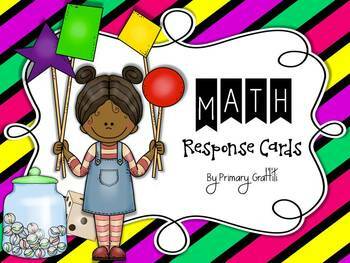 The response card procedure is an intervention that increases students' active engagement and provides a means for a teacher to immediately assess students and provide feedback to the whole class, a group of students, or to individuals. For the past several weeks, I worked to completely update my Math Response Cards. Integrating writing into math while providing accountability during math instruction and centers is one strategy that not only produced engagement but reduced off task behaviors. I've provided three cards to meet your students individual needs. The response rings are used for fully independent writers and thinkers. The journal response cards are provided for on-level students working towards independence in writing. 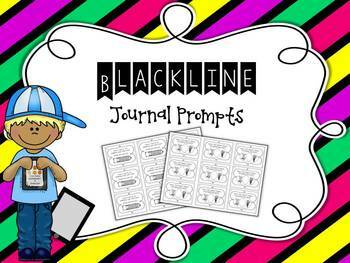 The guided journal pages are perfect for emergent students needing support in their response. In addition to the different formats, you'll find student friendly rubrics.